But let’s take another approach. Let me tell you a story. This summer, we had the wonderful opportunity to spend a couple of days in a small town in Switzerland. 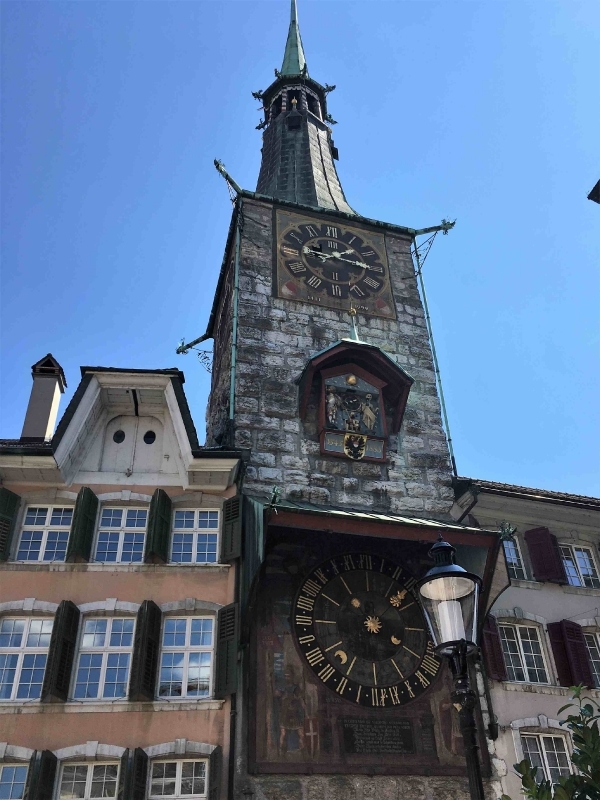 Solothurn, at the foot of the Jura mountains, and on the banks of the Aare River, is a jewel of a community – ancient, hospitable, charming. 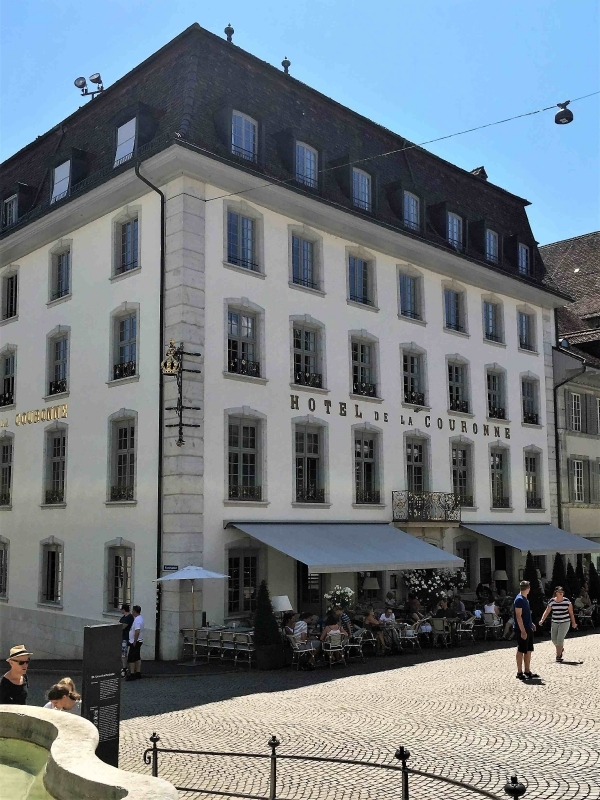 The population of Solothurn is about 16,000 people. We had this in mind when we were invited to visit The Solothurn Art Museum; we anticipated a couple of rather boring hours looking at the work of local artists. We might, just possibly, have been wrong. We were welcomed by Christophe Vögele, the director of the gallery, an enthusiastic art lover who is determined that his passion be highly communicable. He’d come in on his day off, just for us. So we immediately realized that, whatever the quality of the art, the tour was going to be lively. Let’s cut out the suspense – the museum was amazing, the work on the walls astonishing. Their mandate is to collect and exhibit important Swiss art, and they have accomplished this to perfection. There is very fine work here by artists that we Canadians have probably never heard of, but it is well worth seeing. And there is work by Swiss artists of world renown – Alberto Giacometti and Ferdinand Hodler, for instance – room after room of very fine art, largely exhibited chronologically. Christophe commented on many of the paintings, and waxed eloquent about the importance of these works in the history of Swiss fine art. But then he mentioned, almost apologetically, that he had also managed to collect a few other pieces by non-Swiss artists, and he thought they added something to this small-town gallery, as well. So we walked into another exhibition room, to encounter original work by Pablo Picasso, Vincent Van Gogh, Henri Matisse, Paul Cezanne, Gustav Klimt and other highly important painters. We’re talking huge dollar value, here. But I think the opportunity for the kids of Solothurn to drop in at the gallery on their way home from school to take another look at an original Van Gogh is utterly priceless. That’s true in practical terms, by the way – admission to the gallery is free; donations are, of course, welcome. Christophe told us that his acquisition budget goes entirely toward obtaining the best examples of art by Swiss painters. 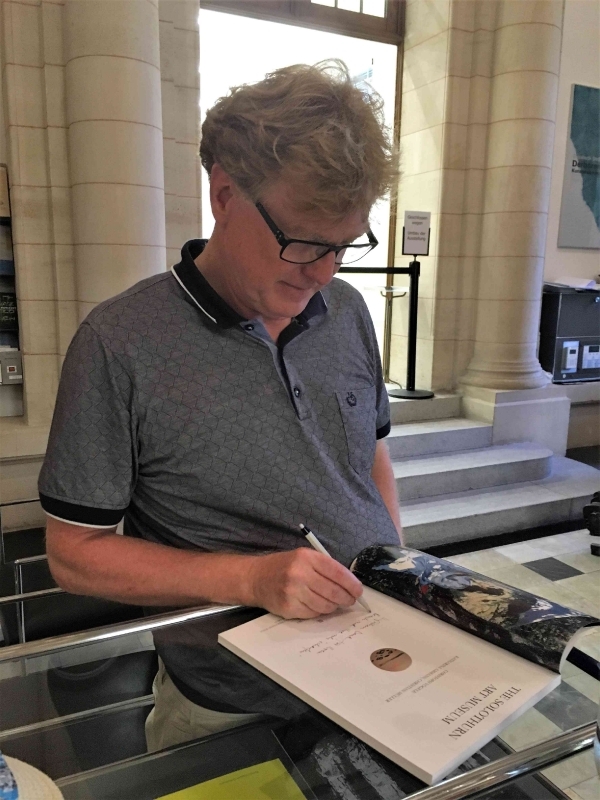 The other masterpieces have been donated or are on long-term lone, from people who believe a small town can have a major art attraction, and who also believe in Christophe as a visionary leader. 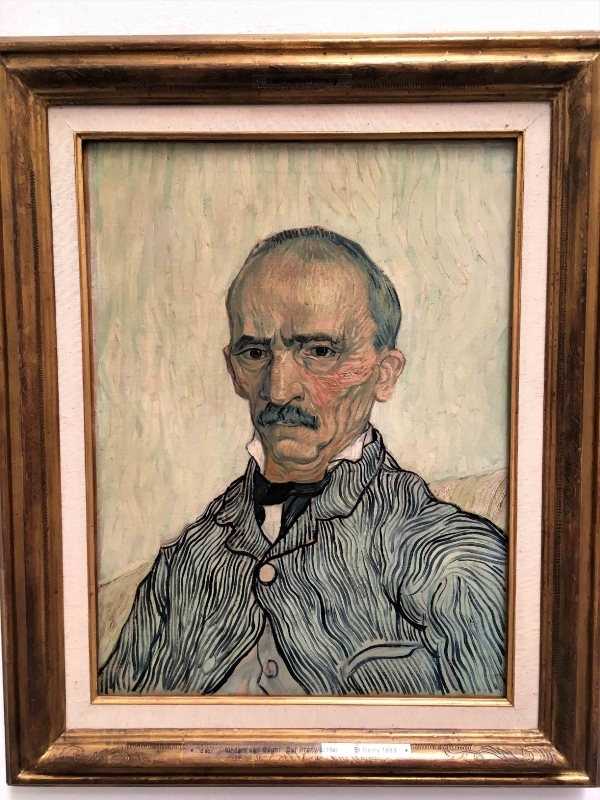 The works by all these artists were impressive, but I have to say I was most captured by the Van Gogh, a portrait of his attendant when the artist was confined in the Saint-Rémy Asylum. It’s an amazing piece. Ready to be viewed, for free, in the art gallery of a town of 16,000 people. Think about this, people of small-town Ontario. Maybe there is more to life than hockey arenas.